Making sure you haven’t been mis-sold ‘Payment Protection Insurance’ can make a difference. With Money Back PPI you can have a free PPI check to see whether or not you have the chance to reclaim. When it comes to understanding PPI, checking you have such a cover can seem like a difficult process. Our team can take care of your worries by doing this for you to make the task as simple as possible. Part of our process includes looking for the key features of ‘Payment Protection Insurance’. This can indicate whether or not you have been mis-sold PPI and in turn give evidence to back up your claim. On condition that you have received a credit card, loan or mortgage within the past three decades or so, it is highly likely that you were sold this policy alongside it. This means that we’ll be looking out for anything regarding loan protection, credit insurance or other related to payment cover. If you’re familiar with these and have noticed them in your previous credit reports, you could be entitled to thousands of pounds. Many people ask how they can reclaim their mis-sold PPIso our service is dedicated to helping people reclaim from mis-sold PPI. You can have full support in getting back what you are owed if you have indeed been mis-sold this cover. Over the years we have helped hundreds of customers receive anything from £1,000 to £61.935.81 in compensation. Not only has this only furthered our determination to provide a first-class service, but also help those who might not have known about the simplicity of the process and how much they are owed. We pride ourselves on our communication. Unlike other PPI services, we don’t bombard you with countless papers. Instead, we focus on making the process much simpler by emailing you vital information about how your reclaim campaign is currently progressing. Having said this, you can contact us at any time if you have any concerns over the process. We’re happy to guide you through it as much as we can and ensure you are supported fully during your course of your claim. One of our most proud features of our services is our low-costs at only 12%, as we believe you shouldn’t have to pay any more for your PPI reclaim. 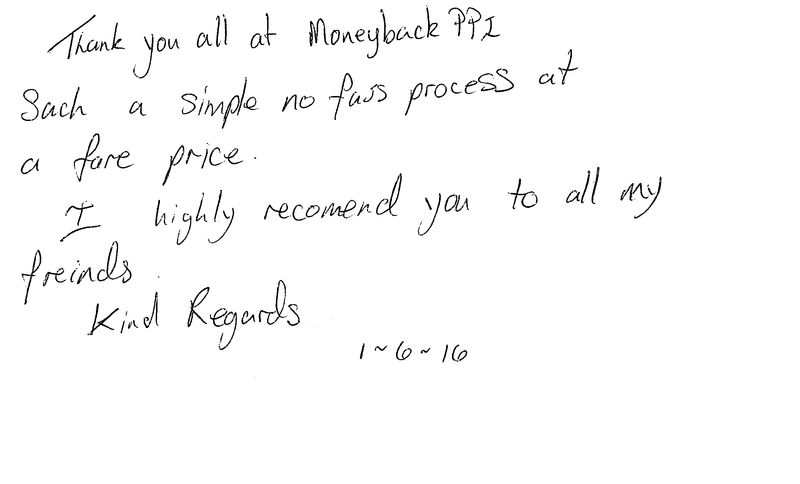 We’re confident our customer feedback and fee comparisons can give you confidence in our support. We have been given the opportunity to represent many customers throughout the country. Don’t hesitate to reach out to us and enquire about how we can help you check whether you are entitled to reclaim PPI. You can enquire about our PPI services via our simple online contact form. Alternatively, you can speak to a member of our friendly team on 0800 040 7778 where we’ll be happy to guide you through the checking process. Go back to our Guides page here.